Hirabayashi Y., et al. Clinical efficacy of tocilizumab in patients with active rheumatoid arthritis in real clinical practice. Rheumatol Int 30:1041-8, 2009. McLaughlin M., Alloza I, Quoc HP, Scott CJ, Hirabayashi Y, and Vandenbroeck K. Inhibition of secretion of interleukin (IL)-12/IL-23 family cytokines by 4-trifluoromethyl-celecoxib is coupled to degradation via the endoplasmic reticulum stress protein HERP. J Biol Chem. 285:6960-6969, 2010. Hirabayashi Y., et al. The endoplasmic reticulum stress-inducible protein, Herp, is a potential triggering antigen for anti-DNA response. J Immunol. 184:3276-3286, 2010. Hirabayashi Y, et al. Clinical efficacy of tocilizumab in patients with active rheumatoid arthritis in real clinical practice. Rheumatol Int. 30:1041-8, 2010. Oka Y, Hirabayashi Y, et al. A single-stranded DNA-cross-reactive immunogenic epitope of human homocysteine-inducible endoplasmic reticulum protein. Scand J Immunol. 74:296-303, 2011. Hirabayashi Y. Chapter 3: The role of tocilizumab in the treatment of rheumatoid arthritis in “Rheumatoid Arthritis – Treatment” edited by Lemmey AB. InTech open access publisher. Rijeka, Croatia. (2011). Hirabayashi Y. Chapter 3: Cell death and anti-DNA antibodies. “Apoptosis and Medicine” edited by Ntuli T. InTech open access company. Rijeka, Croatia. (2012). Hirabayashi Y, et al. ; Michinoku Tocilizumab Study Group. The DAS28-ESR cutoff value necessary to achieve remission under the new Boolean-based remission criteria in patients receiving tocilizumab. Clin Rheumatol. 32(1):123-127, 2013. Watanabe R, Hirabayashi Y, et al. Dramatic radiographic repair by tocilizumab in a very elderly patient with rheumatoid arthritis. Mod Rheumatol. Nov;24(6):1028-9, 2014. Nishimoto N, Amano K, Hirabayashi Y, et al. Drug free remission/low disease activity after cessation of tocilizumab (Actemra) monotherapy (DREAM) study. Mod Rheumatol. 2014 Jan;24(1):17-25. Nishimoto N, Amano K, Hirabayashi Y, et al. Retreatment efficacy and safety of tocilizumab in patients with rheumatoid arthritis in recurrence (RESTORE) study. Mod Rheumatol. 2014 Jan;24(1):26-32. Ogata A, Atsumi T, Fukuda T, Hirabayashi Y, et al. 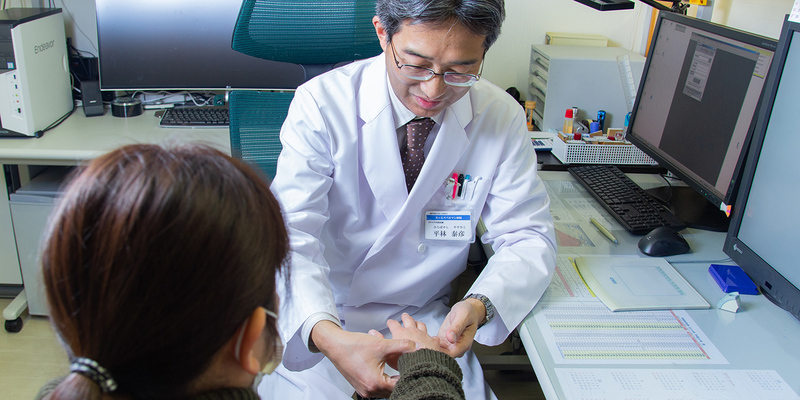 Results of switching from intravenous to subcutaneous tocilizumab monotherapy in patients with rheumatoid arthritis: Extension of the MUSASHI study. Arthritis Care Res (Hoboken). 2015 Oct;67(10):1354-62. Hirabayashi Y, et al. ; Michinoku Tocilizumab Study Group. 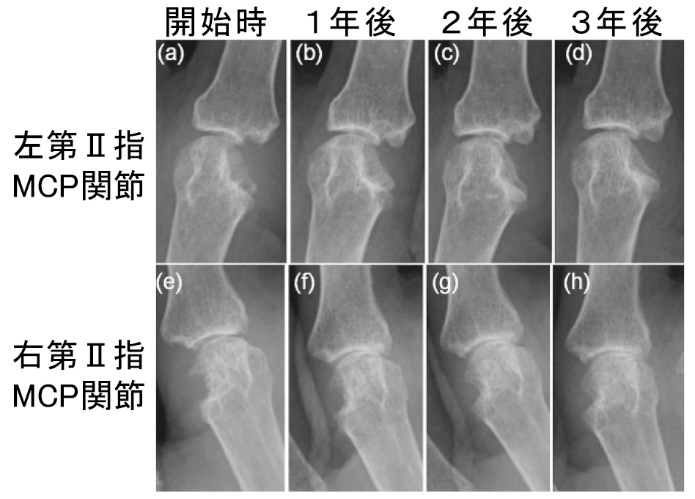 Clinical and structural remission rates increased annually and radiographic progression was continuously inhibited during a 3-year administration of tocilizumab in patients with rheumatoid arthritis: A multi-center, prospective cohort study by the Michinoku Tocilizumab Study Group. Mod Rheumatol. 2016;26(6):828-835. 高度肺病変を有する活動性RAに対しトシリズマブで治療しえた２症例 臨床リウマチ. 23(3), p201-206, 2011. 座談会：生物学的製剤を中心とした治療と副作用対策. 日本内科学会雑誌. 100(10), p2998-3017, 2011. サイトカインを標的とした治療：IL-6 最新医学. 66(2), p215 -220, 2011. 抗dsDNA抗体の産生機序 臨床リウマチ. 24(2), p153-155, 2012. IL-6標的治療薬 アレルギーの臨床. 32(13), p31-35, 2012. 小胞体ストレスと抗DNA抗体産生 臨床免疫・アレルギー科. 59(4), p523-527, 2013. 関節リウマチによる骨関節破壊に対するトシリズマブの抑制効果について 臨床リウマチ. 25(4), p242-248, 2013. 関節リウマチと歯周病 宮歯会報. 429(6), p14-15, 2013. 抗DNA抗体によるIL-1β産生誘導 リウマチ科. 51(4), p449-453, 2014.